The Ruzizi (also sometimes spelled Rusizi) is a river, 117 kilometres (73 mi) long, that flows from Lake Kivu to Lake Tanganyika in Central Africa, descending from about 1,500 metres (4,900 ft) to about 770 metres (2,530 ft) above sea level over its length. The steepest gradients occur over the first 40 kilometres (25 mi), where hydroelectric dams have been built. 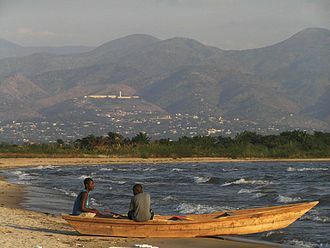 Further downstream, the Ruzizi Plain, the floor of the Western Rift Valley, has only gentle hills, and the river flows into Lake Tanganyika through a delta, with one or two small channels splitting off from the main channel. The Ruzizi is a young river, formed about 10,000 years ago when volcanism associated with continental rifting created the Virunga Mountains. The mountains blocked Lake Kivu's former outlet to the watershed of the Nile and instead forced the lake overflow south down the Ruzizi and the watershed of the Congo. Along its upstream reaches, the river forms part of the border between Rwanda on the east with the Democratic Republic of the Congo (DRC) on the west. 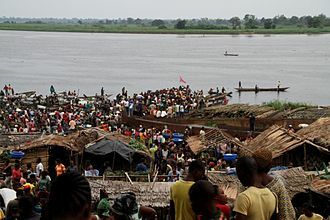 Further downstream, it forms part of the border between the DRC and Burundi, and its lowermost reach lies entirely within Burundi. To the west, the Fizi Baraka mountains tower over the river. The Bridge of Concord, Burundi's longest bridge, crosses the river near its mouth. Tributaries of the Ruzizi River include the Nyamagana, Muhira, Kaburantwa, Kagunuzi, Rubyiro and Ruhwa, among others. The Ruzizi River, flowing south into Lake Tanganyika, is part of the upper watershed of the Congo River. Nineteenth-century British explorers such as Richard Francis Burton and John Hanning Speke, uncertain of the direction of flow of the Ruzizi, thought that it might flow north out of the lake toward the White Nile. Their research and follow-up explorations by David Livingstone and Henry Morton Stanley established among Europeans that this was not the case. The Ruzizi flows into Lake Tanganyika, which overflows into the Lukuga River about 120 kilometres (75 mi) south of Ujiji. The Lukuga flows west into the Lualaba River, a major tributary of the Congo. Rifting, the slow pulling apart of a tectonic plate, has produced the East Africa Rift system and its many basins and lakes. The system, on the boundary between the African Plate (Nubian Plate) and the Somali Plate, has two branches, both oriented north–south. Rifting in the western branch, called the Albertine Rift, began between 25 and 10 million years ago. The Ruzizi River lies along the western rift, which includes, from north to south, lakes Albert, George, Edward, Kivu, Tanganyika, Rukwa, Malawi, and others. Uplift associated with the rifting altered the connections among the region's water bodies. About 13,000 to 9,000 years ago, volcanic activity blocked Lake Kivu's former outlet to the watershed of the Nile. 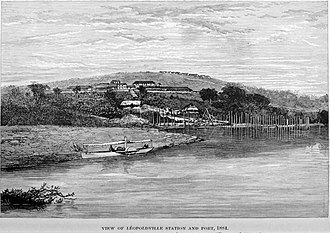 The volcanism produced mountains, including the Virungas, which rose between Lake Kivu and Lake Edward, to the north. Water from Lake Kivu was then forced south down the Ruzizi. This in turn raised the level of Lake Tanganyika, which overflowed down the Lukuga River. Variations in uplift and climate have caused the Ruzizi and Lukuga to open and close multiple times since then. The Ruzizi I hydroelectric dam was built at the Ruzizi River outlet from Lake Kivu in 1958. The Ruzizi II power station was added in 1989. Ruzizi I and II are operated by a tri-national company (Burundi, Rwanda and Democratic Republic of the Congo) owned by the Economic Community of the Great Lakes Countries. The consortium is planning two more dams, Ruzizi III and IV. Ruzizi I has a generating capacity of about 30 megawatts (MW) and Ruzizi II about 44 MW. 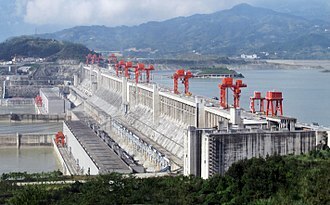 Ruzizi III, to be built downstream of the other two, is projected to have a capacity of 145 MW when it becomes operational in about 2016. As part of the Ruzizi III project, Ruzizi I and II are to be refurbished. If eventually built, Ruzizi IV will be positioned between Ruzizi II and Ruzizi III and is projected to operate at more than 200 MW. 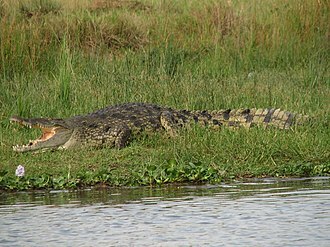 A widely publicized man-eating crocodile, Gustave, roams the banks of the Ruzizi River and the northern shores of Lake Tanganyika. Gustave, estimated to be about 6 metres (20 ft) long and to weigh about 900 kilograms (2,000 lb), is said to have killed and eaten many people. 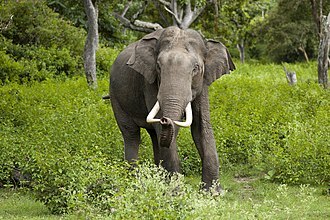 In the film documenting Gustave ("Capturing the Killer Croc"), the narrator states that "In the 1950s, buffalo, elephants and common warthogs inhabited the plain; but they were progressively exterminated by man. The only survivor amongst the large mammals has been the hippopotamus. And they share the river, in an uneasy co-existence, with the nile crocodiles." Reed swamps are common along the lower main stem of the river and its tributaries. Near the mouth, the riparian swamps are up to 3 kilometres (1.9 mi) wide. The swamps' total area in Burundi has been estimated at 12,000 hectares (30,000 acres) with reeds varying in height from 2 to 4 metres (6.6 to 13.1 ft), depending on the degree of inundation. Residents use the reeds for thatching and other domestic purposes. Further from the river, much of the lower river valley consists of grassland, heavily grazed by cattle. 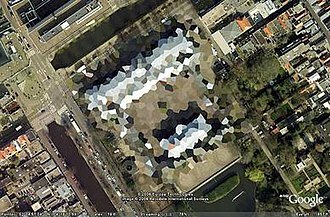 ^ a b c Derived from geolocation with Google Earth. ^ a b Felton, Anna A.; Russell, James M.; Cohen, Andrew S.; Baker, Mark E.; Chesley, John T.; Lezzar, Kiram E.; McGlue, Michael M.; Pigati, Jeffrey S.; Quade, Jay; Curt Stager, J.; Tiercelin, Jean Jacques (2007). "Paleolimnological Evidence for the Onset and Termination of Glacial Aridity from Lake Tanganyika, Tropical East Africa". Palaeogeography, Palaeoclimatology, Palaeoecology. 252 (3–4): 405. doi:10.1016/j.palaeo.2007.04.003. ^ a b Lamers, Alfred (1990). "Ruzizi II - A Fine Example of Regional Cooperation". Human Info NGO Library for Education and Development. Archived from the original on 19 April 2013. Retrieved 14 January 2013. ^ a b c d "Google Maps". Google Maps. 2013. Retrieved 14 January 2013. ^ Doyle, Mark (25 November 2004). "Retracing Che Guevara's Congo Footsteps". BBC News. Retrieved 14 January 2013. ^ Murison, Katharine (ed.). Africa South of the Sahara (32nd ed.). Europa Publications. p. 147. ISBN 978-1-85743-131-5. ^ "Acme Mapper (terrain)". Acme Labs. Retrieved 14 January 2013. ^ Ondaatje, Christoper (1998). Journey to the Source of the Nile. Toronto: Harper Collins. p. 166. ISBN 978-0-00-200019-2. ^ a b c d e f g Danley, Patrick D.; Husemann, Martin; Ding, Baoqing; Dipietro, Lyndsay M.; Beverly, Emily J.; Peppe, Daniel J.; et al. (2012). 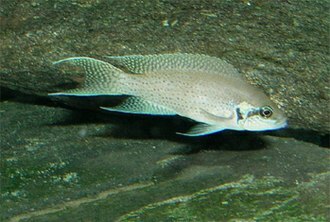 "The Impact of the Geologic History and Paleoclimate on the Diversification of East African Cichlids". 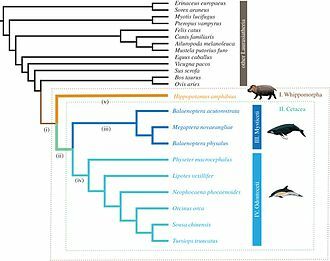 International Journal of Evolutionary Biology. 2012: 1–20. doi:10.1155/2012/574851. PMC 3408716. 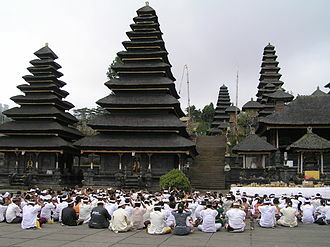 PMID 22888465. 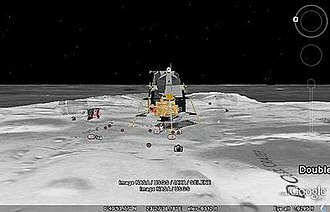 Retrieved 15 January 2013. ^ Clark, J. D. (1969). Kalambo Falls Prehistoric Site, Volume 1. London: Cambridge University Press. p. 34. Retrieved 16 January 2013. ^ McRae, Michael. "Gustave the Croc Surfaces to Strike Again". National Geographic (February 2008). Retrieved 14 January 2013. Wikimedia Commons has media related to Ruzizi River. It is the ninth largest lake in the world and the third largest and second deepest lake in Africa. It is home to species of fish than any other lake. The Mozambique portion of the lake was declared a reserve by the Government of Mozambique on June 10,2011. Lake Malawi is a lake, meaning that its water layers do not mix. The permanent stratification of Lake Malawis water and the boundary are maintained by moderately small chemical and thermal gradients. Lake Malawi is between 560 kilometres and 580 kilometres long, and about 75 kilometres wide at its widest point, the total surface area of the lake is about 29,600 square kilometres. The lake has shorelines on western Mozambique, eastern Malawi, the largest river flowing into it is the Ruhuhu River, and there is an outlet at its southern end, the Shire River, a tributary that flows into the very large Zambezi River in Mozambique. The lake lies in a formed by the opening of the East African Rift. This is called a divergent plate tectonics boundary and it is variously estimated at about 40,000 years old or about one to two million years. The lake is about 350 kilometres southeast of Lake Tanganyika, another of the lakes of the East African Rift. The Lake Malawi National Park is located at the end of the lake. The lakes water is alkaline and warm with a temperature between 24 and 29 °C, while deep sections typically are about 22 °C. The oxygen limit is at a depth of approximately 250 m, effectively restricting fish, the Portuguese trader Candido José da Costa Cardoso was the first European to visit the lake in 1846. 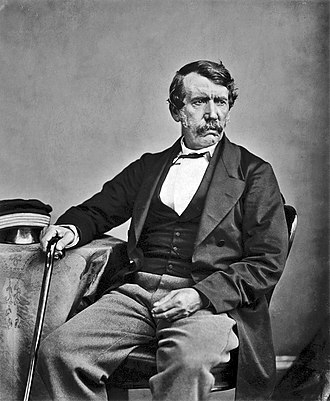 David Livingstone reached the lake in 1859, and named it Lake Nyasa, rhoadess crew found the Hermann von Wissmann in a bay near Sphinxhaven, in German East African territorial waters. Gwendolen disabled the German boat with a cannon shot from a range of about 1,800 metres. This very brief gunboat conflict was hailed by The Times in England as the British Empires first naval victory of World War I, the Lake of Stars is the nickname for Lake Malawi coined by David Livingstone. This name came about due to lights from the lanterns of the fishermen in Malawi on their boats, the lake is known as the Lake of Storms, for the unpredictable and extremely violent gales that sweep through the area. The common warthog is a wild member of the pig family found in grassland and woodland in sub-Saharan Africa. Females, at 45 to 75 kg, are typically a bit smaller and lighter in weight than males, a warthog is identifiable by the two pairs of tusks protruding from the mouth and curving upwards. The lower pair, which is far shorter than the upper pair, the upper canine teeth can grow to 25.5 cm long and have a wide elliptical cross section, being about 4.5 cm deep and 2.5 cm wide. A tusk will curve 90° or more from the root, and will not lie flat on a table, the tusks are used for digging, for combat with other hogs, and in defense against predators – the lower set can inflict severe wounds. Common warthog ivory is taken from the constantly growing canine teeth, the tusks, particularly the upper set, work in much the same way as elephant tusks with all designs scaled down. Tusks are carved predominantly for the tourist trade in east and southern Africa, the head of the common warthog is large, with a mane down the spine to the middle of the back. Its color is black or brown. Tails are long and end with a tuft of hair, common warthogs do not have subcutaneous fat and the coat is sparse, making them susceptible to extreme environmental temperatures. The common warthog is the only pig species that has adapted to grazing and its diet is omnivorous, composed of grasses, roots and other fruits, fungi, insects and carrion. The diet is variable, depending on availability of different food items. During the wet seasons, warthogs graze on short perennial grasses, during the dry seasons, they subsist on bulbs and nutritious roots. Warthogs are powerful diggers, using both their snouts and feet, whilst feeding, they often bend their front feet backwards and move around on the wrists. Calloused pads that protect the wrists during such movement form quite early in the development of the fetus, although they can dig their own burrows, they commonly occupy abandoned burrows of aardvarks and other animals. The common warthog commonly reverses into burrows, with its head facing the opening, common warthogs will wallow in mud to cope with high temperatures and huddle together to cope with low temperatures. Sir Richard Francis Burton KCMG FRGS was an English explorer, translator, soldier, cartographer, spy, poet and diplomat. He was famed for his travels and explorations in Asia, according to one count, he spoke 29 European and African languages. Burton defied many aspects of the pervasive British ethnocentrism of his day and his works and letters extensively criticized colonial policies of the British Empire, even to the detriment of his career. A characteristic feature of his books is the copious footnotes and appendices containing remarkable observations, Burton was a captain in the army of the East India Company, serving in India. Following this, he was engaged by the Royal Geographical Society to explore the east coast of Africa, in life, he served as British consul in Fernando Pó, Damascus and, Trieste. 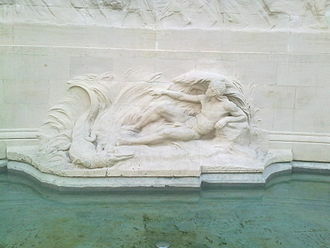 He was a Fellow of the Royal Geographical Society and was awarded a knighthood in 1886. Burton was born in Torquay, Devon, at 21,30 on 19 March 1821, in his autobiography and he was baptized on 2 September 1821 at Elstree Church in Borehamwood, Hertfordshire. His father, Lt. -Colonel Henry Peard Driscoll and Mrs Richard Graves, richards mother, Martha Baker, was the daughter and co-heiress of a wealthy English squire, Richard Baker, of Barham House, for whom he was named. Burton had two siblings, Maria Katherine Elizabeth Burton and Edward Joseph Netterville Burton, born in 1823 and 1824, Burtons family travelled considerably during his childhood. In 1825, they moved to Tours, Burtons early education was provided by various tutors employed by his parents. He first began an education in 1829 at a preparatory school on Richmond Green in Richmond, Surrey. Over the next few years, his family travelled between England and Italy, Burton showed an early gift for languages and quickly learned French, Italian and Latin, as well as several dialects. During his youth, he was rumored to have carried on an affair with a young Roma woman, even learning the rudiments of her language, the peregrinations of his youth may have encouraged Burton to regard himself as an outsider for much of his life. Bukavu is a city in eastern Democratic Republic of the Congo, lying at the extreme south-western edge of Lake Kivu, west of Cyangugu in Rwanda, and separated from it by the outlet of the Ruzizi River. 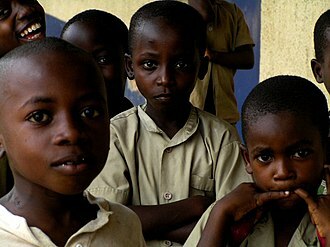 It is the capital of the South Kivu province and as of 2012 it had an population of 806,940. The current Governor of Bukavu is Marcelin Chishambo, Bukavu is part of the ancient territory of Bushi Kingdom, the main ethnic group of South-Kivu. 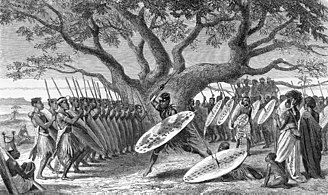 It was governed by a “Muluzi” Nyalukemba, when the first Arabs, (“Muluzi” or “Baluzi” in the plural means « the nobleman or nobility to Shi. 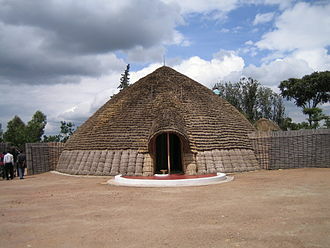 It is equivalent to Watutsi or Tutsi in Kinyarwanda, before the Europeans came in Bushi Kingdom, Bukavu was called “Rusozi”. The name Bukavu comes from the transformation of word bu nkafu in Mashi, Bukavu was established in 1901 by the Belgian colonial authorities. Originally named Costermansville or Costermansstad after Vice Governor-General Paul Costermans until 1954 and they were attracted by the subtropical climate and scenic location. Many colonial villas have gardens sloping down to the shore, by contrast, the main residential district for ordinary people, climbs up the hillside inland. 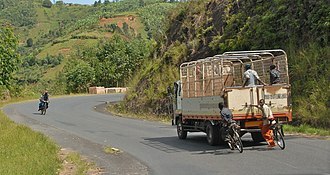 The surrounding hills reach a height of 2,000 metres, following the Rwandan Genocide, Hutu refugees and many members of the former Hutu-led government fled as part of the Great Lakes refugee crisis. The refugee camps around Goma and Bukavu became a center of the Hutu insurgency from the camps against the new Watutsi government of Rwanda, although to a very minimal extent. 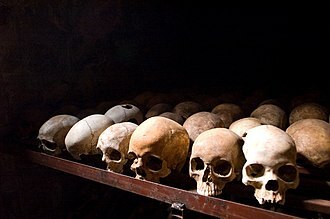 In November 1996 at the start of the First Congo War, Rwandan government forces attacked the Hutu camps. This reason of the Rwandan attacked is disputable as there are reasons to believe that this was not the reason for the Rwandan government to attack Congo. 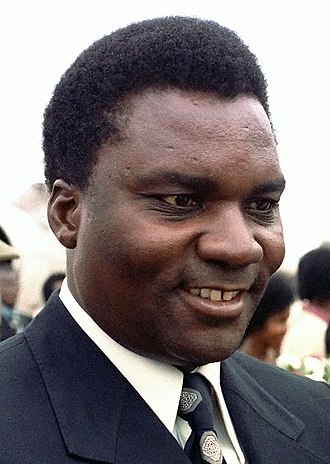 The Rwandan government supported rebels in Zaire led by Laurent Kabila who overthrew the Kinshasa government with their help, Rwanda supported the rebel Rally for Congolese Democracy against Kabila. The reason for this support is believed to be rather economical than the protection of the Rwandan territory, about 16,000 women were raped on a single weekend after General Nkunda told his troops This city is yours for three days. Lake Kivu is one of the African Great Lakes. It lies on the border between the Democratic Republic of the Congo and Rwanda, and is in the Albertine Rift, Lake Kivu empties into the Ruzizi River, which flows southwards into Lake Tanganyika. Lake Kivu is approximately 90 km long and 50 km at its widest and its irregular shape makes measuring its precise surface area difficult, it has been estimated to cover a total surface area of some 2,700 km2. The surface of the lake sits at a height of 1,460 metres above sea level. The lake has a depth of 475 m and a mean depth of 220 m, making it the worlds eighteenth deepest lake by maximum depth. Some 1370 km2 or 58 percent of the lakes lie within DRC borders. The lake bed sits upon a rift valley that is slowly being pulled apart, the worlds tenth-largest island on a lake, lies in Lake Kivu, as does the tiny island of Tshegera, which lies within the boundaries of Virunga National Park. Settlements on the shore include Bukavu, Kalehe and Goma in Congo, and Gisenyi, Kibuye. 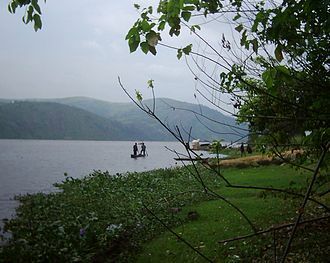 Lake Kivu is a fresh water lake and, along with Cameroonian Lake Nyos, around the lake, geologists found evidence of massive biological extinctions about every thousand years, presumably caused by outgassing events. The trigger for lake overturns is unknown in Lake Kivus case, the gaseous chemical composition of exploding lakes is unique to each lake. In Lake Kivus case and carbon dioxide due to lake water interaction with a volcano, the amount of methane is estimated to be 65 cubic kilometres. If burnt over one year, it would give a power of about 100 gigawatts for the whole period. There is an estimated 256 cubic kilometers of carbon dioxide, the water temperature is 24 °C, and the pH level is about 8.6. 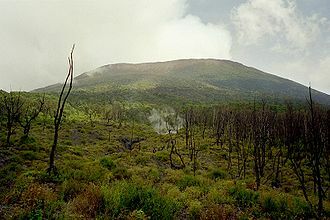 The methane is reported to be produced by reduction of the volcanic CO2. These are found at three different intervals, the sapropelic layers are believed to be related to hydrothermal discharge and the diatoms to a bloom which reduced the carbon dioxide levels low enough to precipitiate monohydrocalcite. The Nile sources, he told a friend, are valuable only as a means of opening my mouth with power among men. It is this power which I hope to remedy an immense evil and his subsequent exploration of the central African watershed was the culmination of the classic period of European geographical discovery and colonial penetration of Africa. 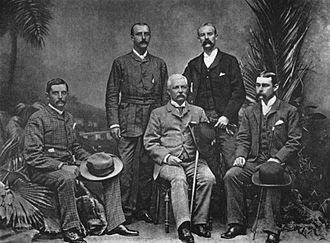 His meeting with Henry Morton Stanley on 10 November 1871 gave rise to the popular quotation Dr. Livingstone and he was the second of seven children born to Neil Livingstone and his wife Agnes. 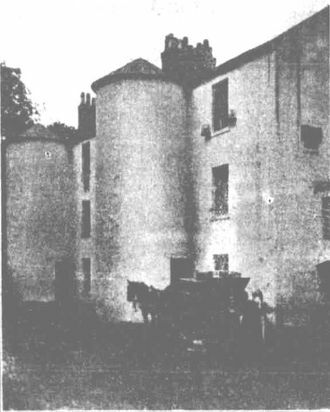 David was employed at the age of 10 in the mill of Henry Monteith & Co. in Blantyre Works. 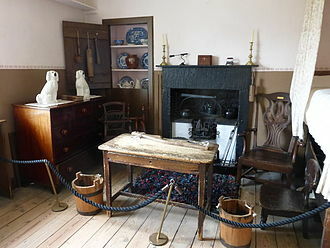 He and his brother John worked twelve-hour days as piecers, tying broken cotton threads on the spinning machines and he was a student at the Charing Cross Hospital Medical School in 1838–40, with his courses covering medical practice and botany. Neil Livingstone was a Sunday school teacher and teetotaller who handed out Christian tracts on his travels as a tea salesman. He extensively read books on theology and missionary enterprises and this rubbed off on the young David, who became an avid reader, but he loved scouring the countryside for animal and geological specimens in local limestone quarries. Other significant influences in his life were Thomas Burke, a Blantyre evangelist. At age nineteen and his left the Church of Scotland for a local Congregational church, influenced by preachers like Ralph Wardlaw. For Livingstone, this meant a release from the fear of eternal damnation, Livingstones reading of missionary Karl Gützlaffs Appeal to the Churches of Britain and America on behalf of China enabled him to persuade his father that medical study could advance religious ends. Livingstones experiences in H. Monteiths Blantyre cotton mill were important from ages 10 to 26. To enter medical school, he required some knowledge of Latin, a local Roman Catholic named Daniel Gallagher helped him learn Latin to the required level. Later in life, Gallagher became a priest and founded the third oldest Catholic Church in Glasgow, St Simons, a painting of both Gallagher and Livingstone by Roy Petrie hangs in that churchs coffee room. In addition, he attended divinity lectures by Wardlaw, a leader at this time of vigorous anti-slavery campaigning in the city, shortly after, he applied to join the London Missionary Society and was accepted subject to missionary training. Lake Albert, Albert Nyanza and formerly Lake Mobutu Sese Seko, is a lake located in Uganda and the Democratic Republic of the Congo. It is one of the African Great Lakes, Lake Albert is Africas seventh-largest lake, and the worlds twenty-seventh largest lake by volume. Lake Albert is located in the center of the continent, on the border between Uganda and the Democratic Republic of the Congo, Lake Albert is the northernmost of the chain of lakes in the Albertine Rift, the western branch of the East African Rift. It is about 160 km long and 30 km wide, with a depth of 51 m. Lake Albert is part of the system of the upper Nile. Its main sources are the Victoria Nile, ultimately coming from Lake Victoria to the southeast, and the Semliki River, the water of the Victoria Nile is much less saline than that of Lake Albert. Its outlet, at the northernmost tip of the lake, is the Albert Nile, at the southern end of the lake, where the Semliki comes in, there are swamps. Farther south looms the Ruwenzori Range, while a range of hills called the Blue Mountains tower over the northwestern shore, the few settlements along the shore include Butiaba and Pakwach. The archbishop of Bukavu, Christophe Munzihirwa Mwene Ngabo, was a Jesuit well known as a supporter of democracy and human rights. 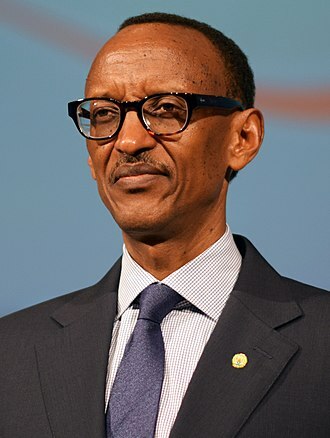 When Rwanda first invaded eastern Congo in 1996, he condemned the attacks on Rwandan refugee camps and the targeting of civilians. 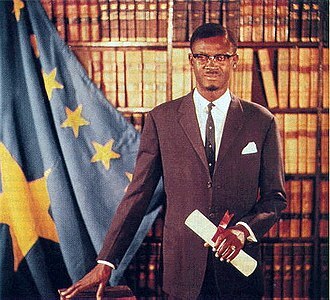 On Oct. 29, 1996, Munzihirwa was assassinated. Edward Nyanza. The black and dashed lines indicate Stanley's route. The black line indicates Stanley's route.